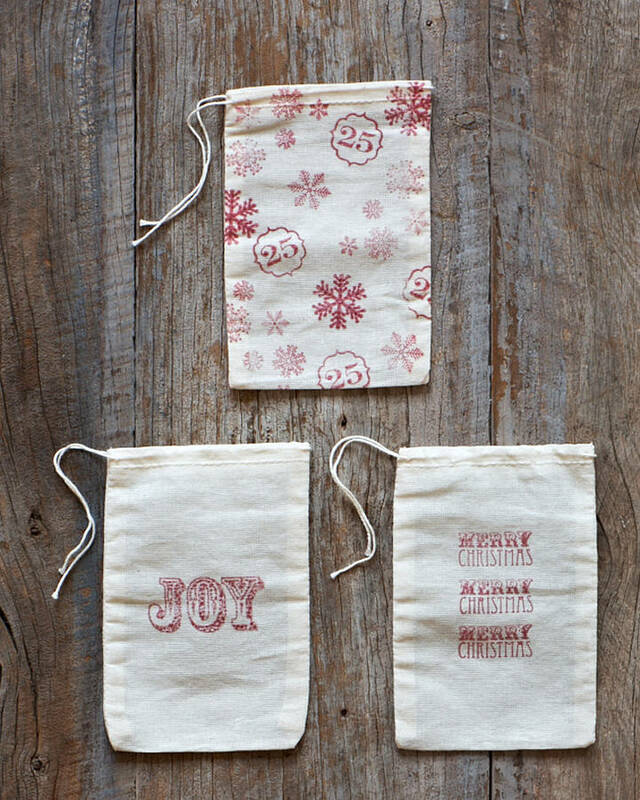 Set of 3 charming and festive hand stamped gift bags. 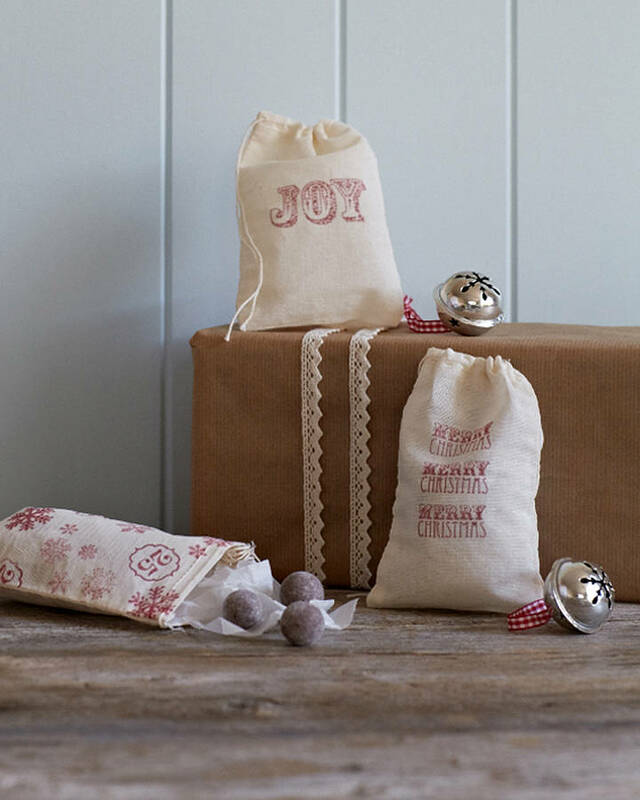 Perfect for filling with gifts, sweets or baked treats we are sure you can find lots of uses for these festive little bags. 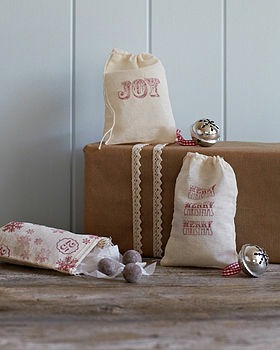 With three designs per pack, they are individually hand stamped in red onto cotton muslin bags. We plan to fill them with homemade truffles and use as little favors for our Christmas table this year!